Expected price of Huawei P30 Lite in India is expected to be Rs. 19,990. Huawei P30 Lite Expected to be launched on 1st May 2019. The 512GB / 4GB variant of Huawei P30 Lite costs around Rs. 19,990 and expected to available in Silver, Dark Blue and Midnight Black colour. The Huawei P30 Lite comes with an IPS LCD display of 6-inch having the resolution of 1,080 x 2,340 pixels and pixel density of 430 PPI. The bezel-less display comes with waterdrop notch where the frontal lens is placed. 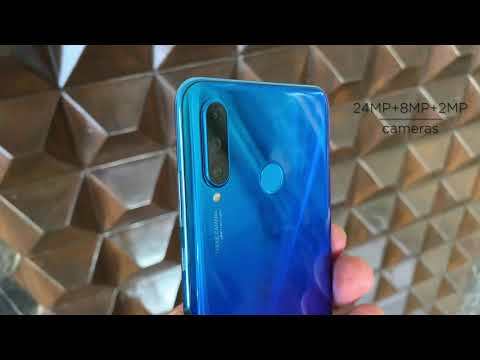 In terms of optics, the Huawei P30 Lite sports a triple primary lens set up of 20 MP + 16 MP + 2 MP, which can produce impressive images. The set up is also assisted by additional features like Autofocus and LED flash that helps it to capture pictures in any type of environment. At the front, there is a 24MP lens that can give remarkable selfies, which users love to share. The Huawei P30 Lite is based on HiSilicon Kirin 710 SoC and packs an octa-core processor. There is a 4GB RAM to assist the processor and to take care of the graphics part a Mali-G51 MP4 GPU is provided. The whole operation is done by Android v9.0 (Pie). The device houses huge internal storage of 64GB that can store an ample amount of files and data. Also, it comes with an option of memory slot, which helps to expand the space up to 256GB when required. The Huawei P30 Lite can draw the charge from a Li-ion battery having the capacity of 3,400mAh. It can give a decent backup for hours to keep it alive. The smartphone can be connected via several options like Bluetooth, Wi-Fi, GPS, Mobile Hotspot and many more. Moreover, both the slots of the device can support 4G-VoLTE connectivity. The Huawei P30 Lite comes with a Fingerprint sensor at the back that helps it to use safely and securely. Also, it has other sensors like Light sensor, Proximity sensor, Accelerometer, Gyroscope, which make it a better option to buy in recent times.